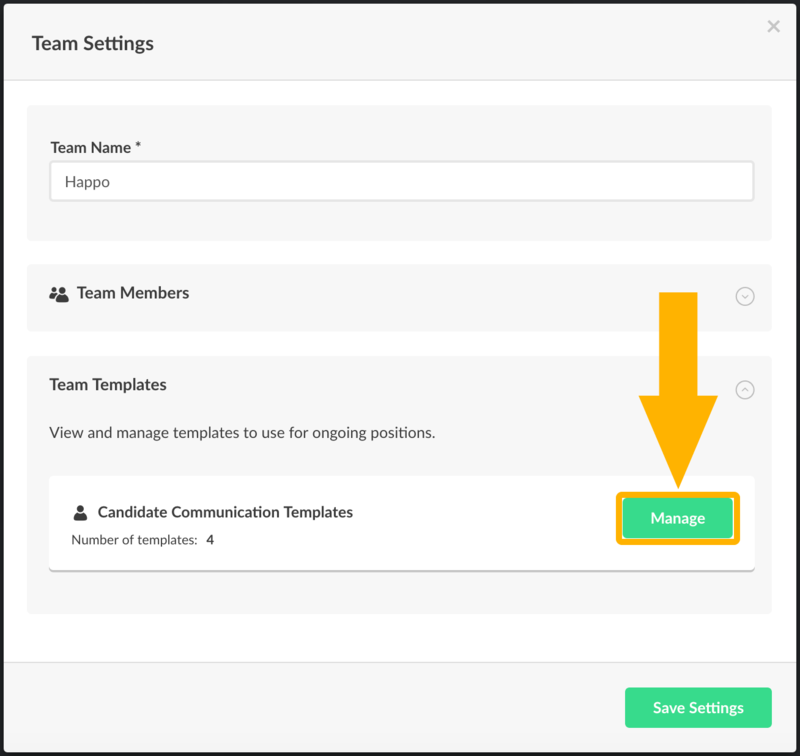 Ready-to-use templates cannot be deleted, however, you can delete Custom Templates in your Team Settings. 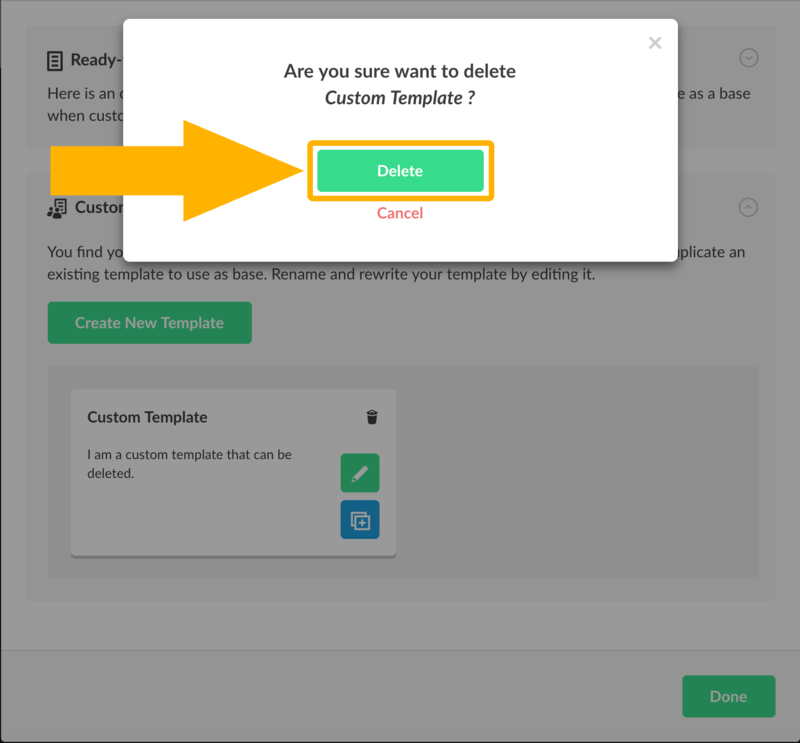 Click on the trash can icon to the right of your Custom Template to delete template. This will trigger a prompt. 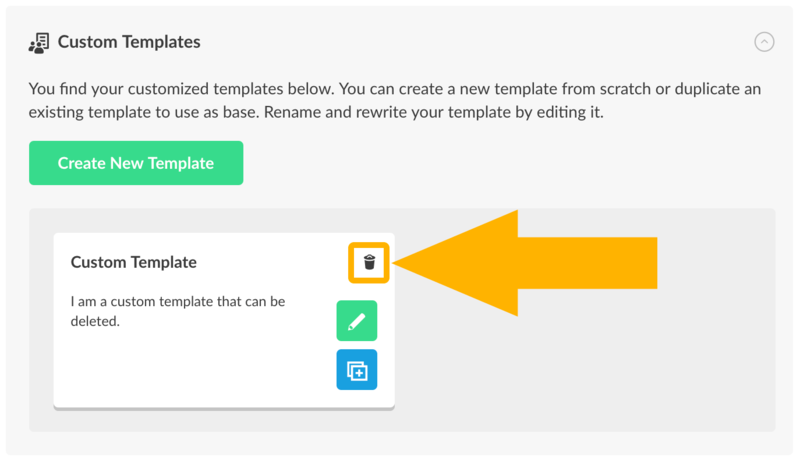 Click Delete when the prompt appears.